It’s not uncommon to be scared of heights. But when people conquer those fears, the places they go and views they see can be truly breathtaking. Reuters curated a series of images of brave individuals who take the concept of “living on the edge” to the next level. Whether it’s for a specific job function or just for enjoyment, these images capture the feeling of being very high up. Keep scrolling to see all the photos. 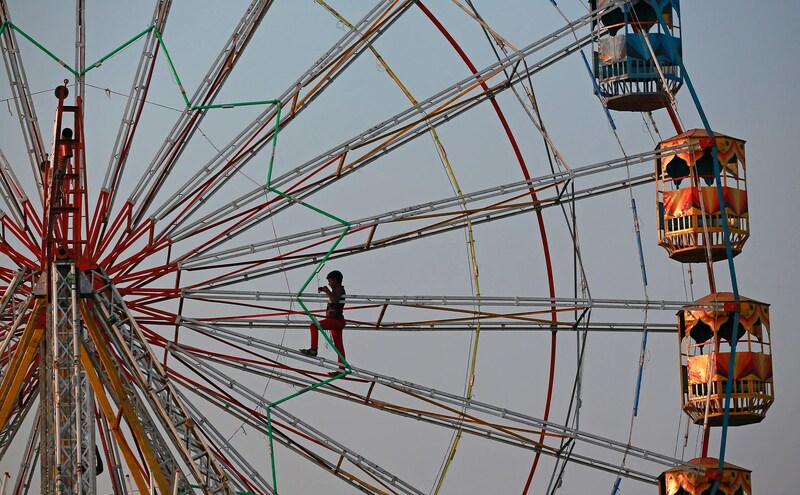 A worker installs lights while standing on a Ferris wheel at a fair in Mumbai. Cooks pose before a toast at an event known as “Dinner in the Sky” as they are seated around a table that is lifted by a crane in front of Cinquantenaire park in Brussels. 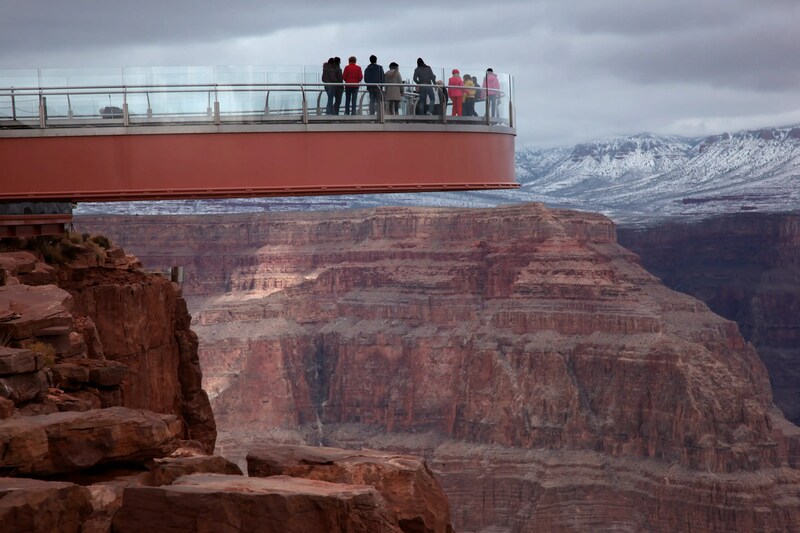 22 guests are seated at a table suspended from a crane at a height of 131 feet. U.S. Air Force pararescuemen leap from a CH-53 Sea Stallion helicopter during a training mission over Djibouti . 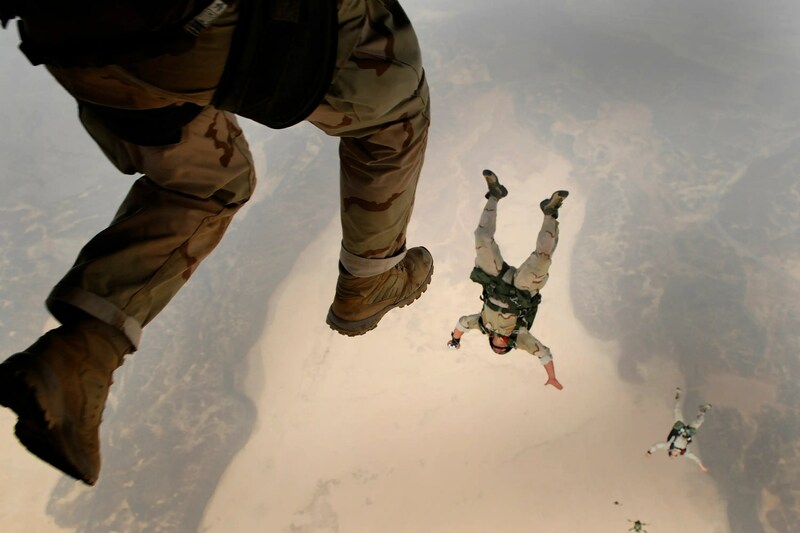 The pararescuemen are from the 82nd Expeditionary Rescue Squadron out of Davis-Monthan Air Force Base, Arizona. 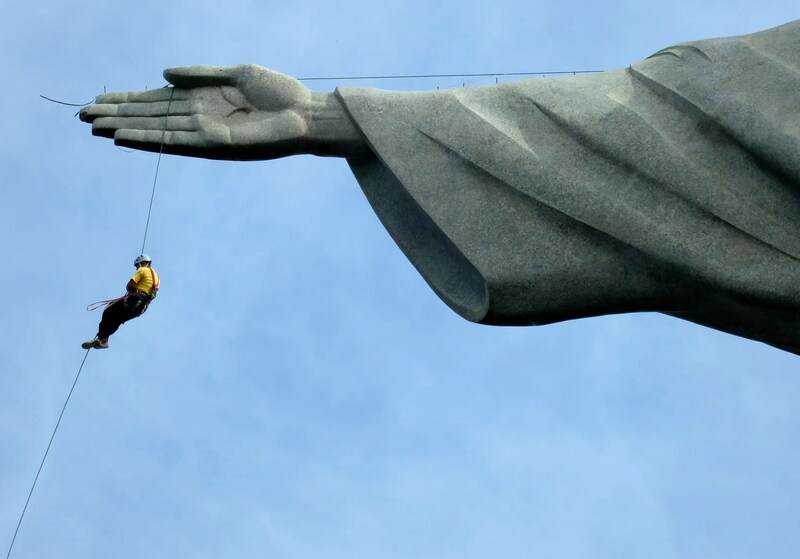 A worker rappels from the Cristo Redentor statue at the Corcovado in Rio de Janeiro. Xu Liangfan, 37, escorts students on a cliff path as they make their way to Banpo Primary School in Shengji county, Bijie city in the Guizhou province of China. 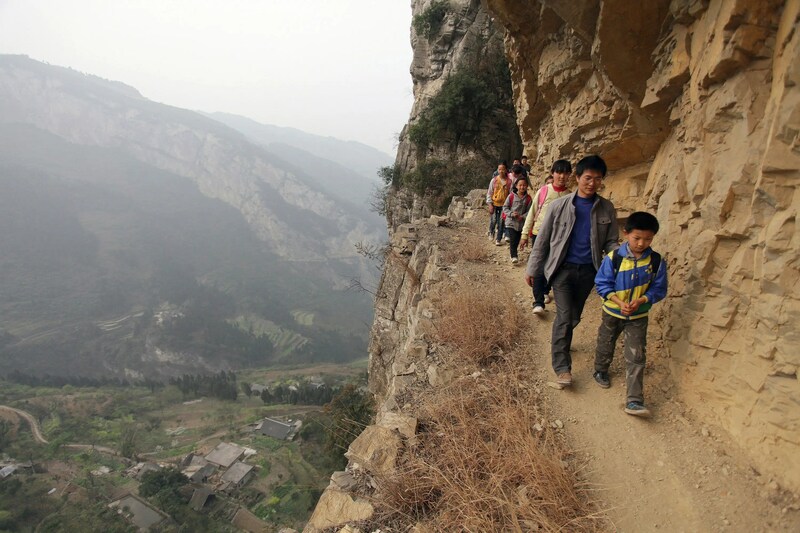 The path, which was carved from cliffs over 40 years ago, is the only route between Gengguan village and the school, according to local media. 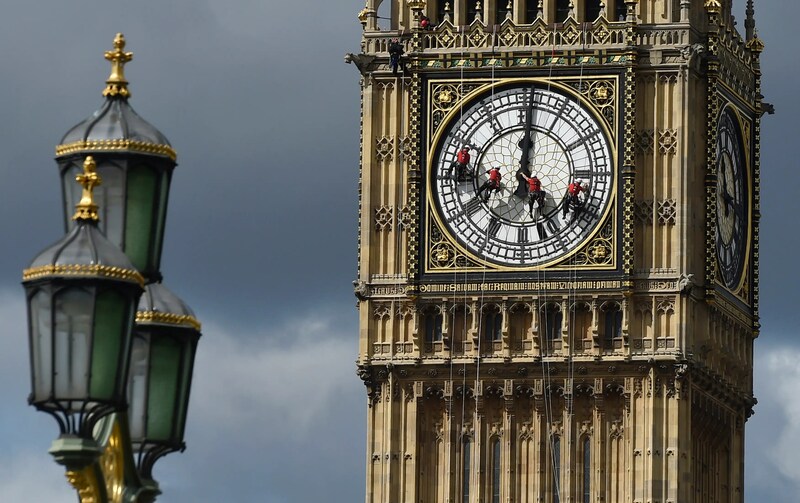 Cleaners abseil down one of the faces of Big Ben, to clean and polish the clock face, above the Houses of Parliament, in central London. 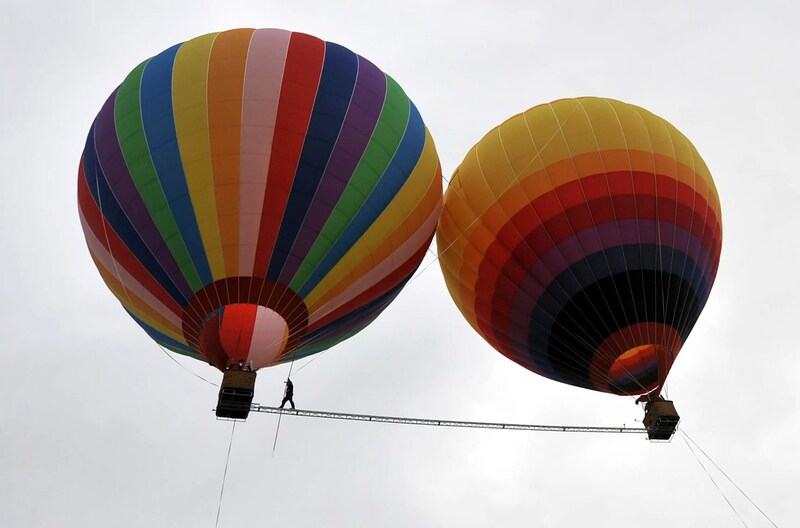 Aisikaier Wubulikasimu, 40-year-old Uighur acrobat, walks on a 59 foot, 2 inch wide tightrope strung between two hot air balloons, in Shilin county within the Yunnan province in China. 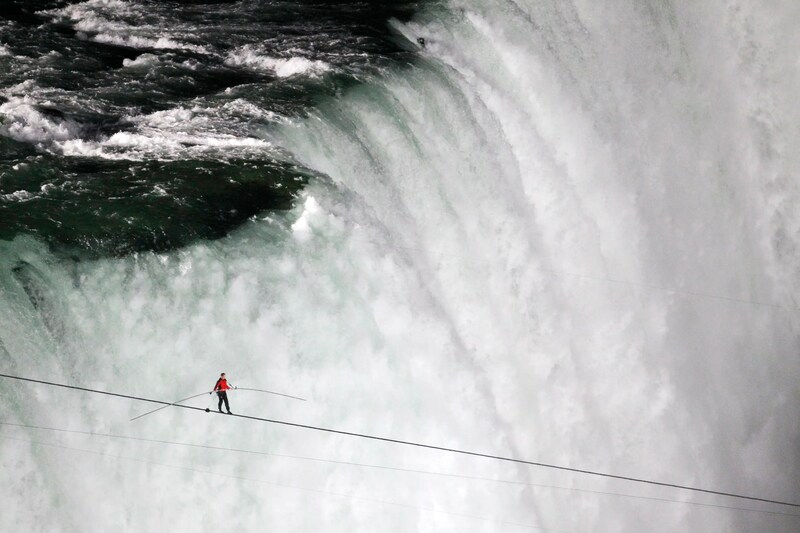 Tightrope walker Nik Wallenda walks the high wire from the U.S. side to the Canadian side over the Horseshoe Falls in Niagara Falls, Ontario. 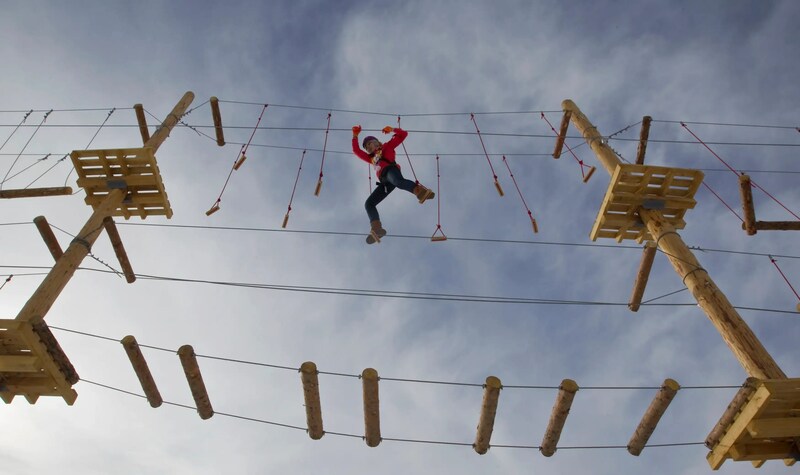 A woman climbs during the opening of the rope park at the Shimbulak Ski Resort in the Tien Shan mountains outside Almaty in Kazakhstan. 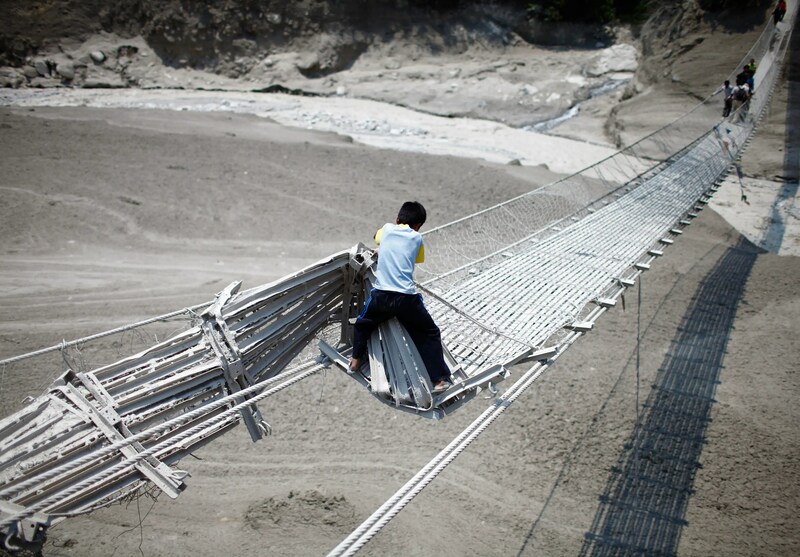 A boy tries to cross a damaged suspension bridge, after a flash flood caused by an avalanche in the Annapurna mountain range on Saturday, in Kaski district. 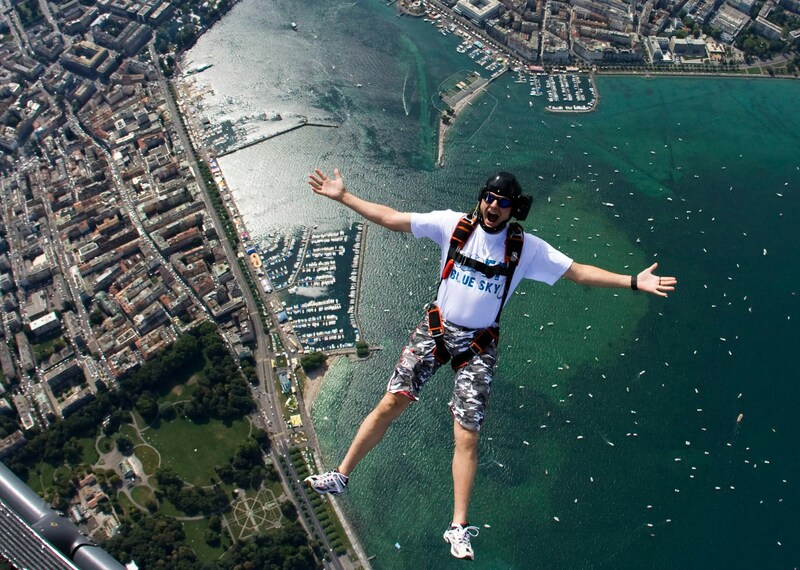 Christoffe Jonin of the FF Blue Sky Team jumps out of a helicopter with a parachute, 1,300 meters above Lake Leman (Lake Geneva) and the city of Geneva, during the final day of Fetes de Geneve. 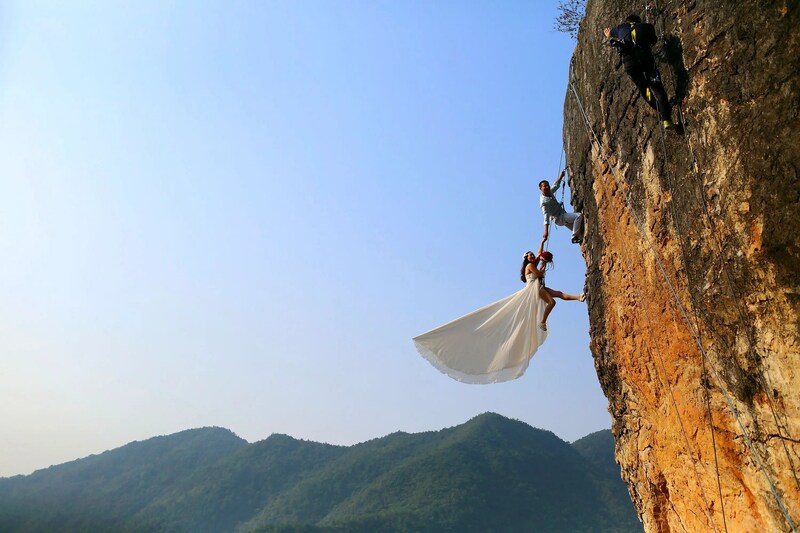 Zheng Feng, an amateur climber takes wedding pictures with his bride on a cliff in Jinhua, Zhejiang province. 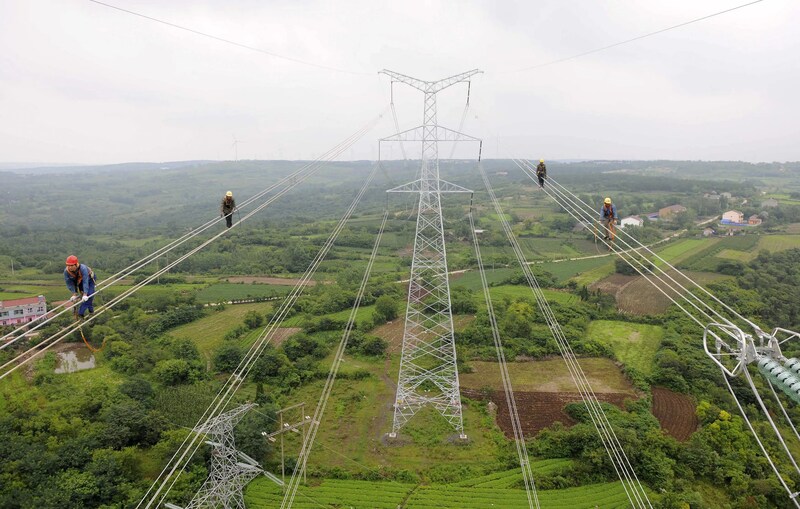 Workers walk along wires as they inspect newly-built electricity pylons above crop fields in Chuzhou within the Anhui province of China. 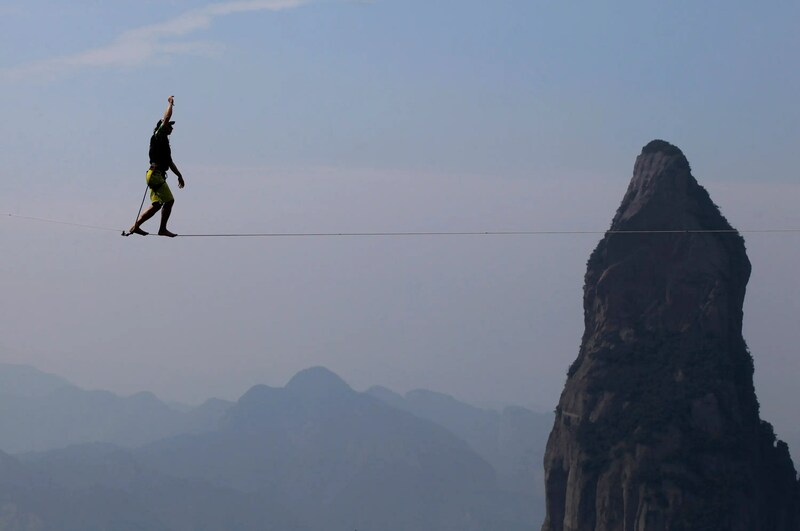 Damian Jorren of Germany walks on a slackline during a show at Shenxianju in Taizhou. 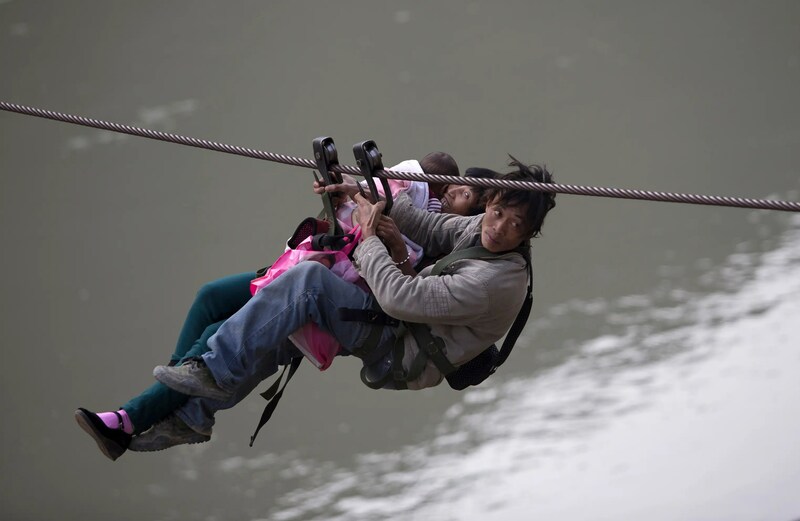 A man, his wife and their child use a zip-line to cross the Nujiang River in Lazimi village of Nujiang Lisu Autonomous Prefecture. Residents have been using the zip-line for years to cross the river as there is no bridge nearby, local media has reported. 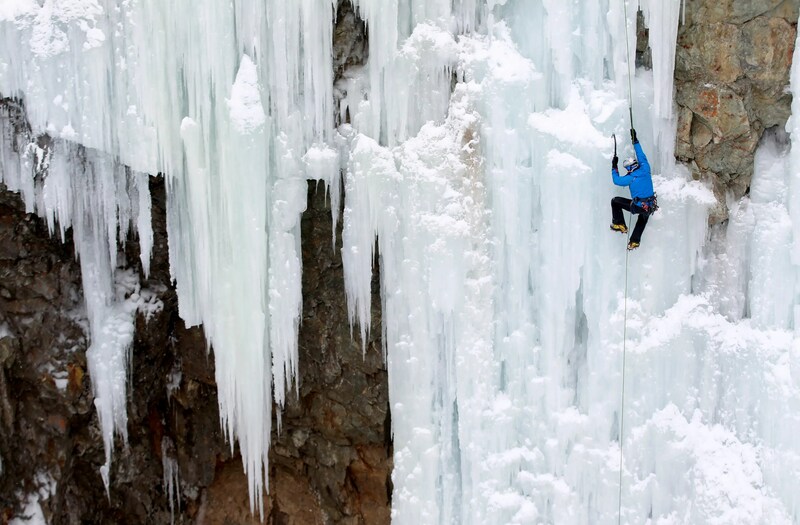 A man climbs up an artificially made wall of ice near the Swiss mountain resort of Pontresina. 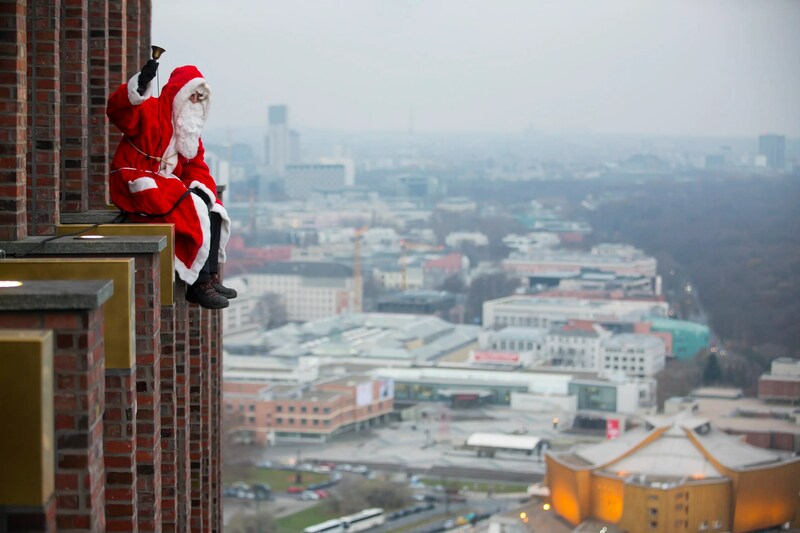 A man dressed as a Santa Claus poses at the front of the Kollhoff Tower at Potsdamer Platz square in Berlin. 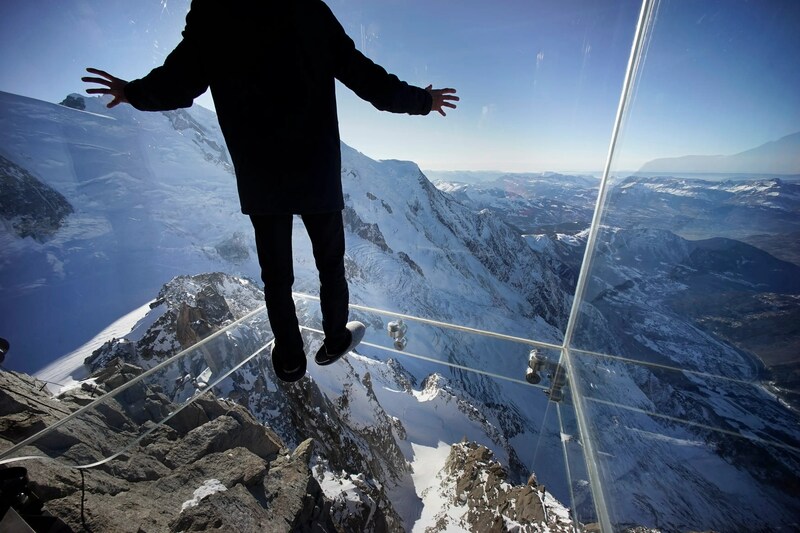 A journalist, wearing slippers to protect the glass floor, stands in the ‘Step into the Void’ installation during a press visit at the Aiguille du Midi mountain peak above Chamonix, in the French Alps. 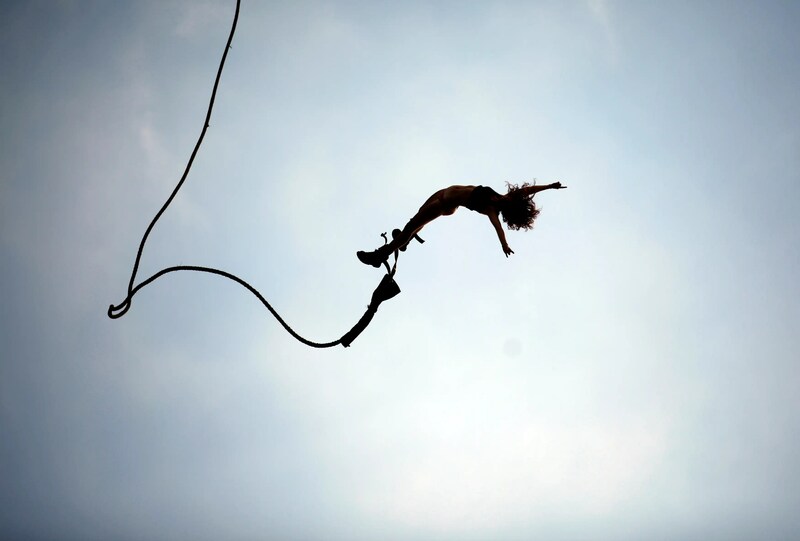 A reveller enjoys a bungee jump during the 17th Woodstock Festival in Kostrzyn-upon-Odra River, close to the Polish and German border. 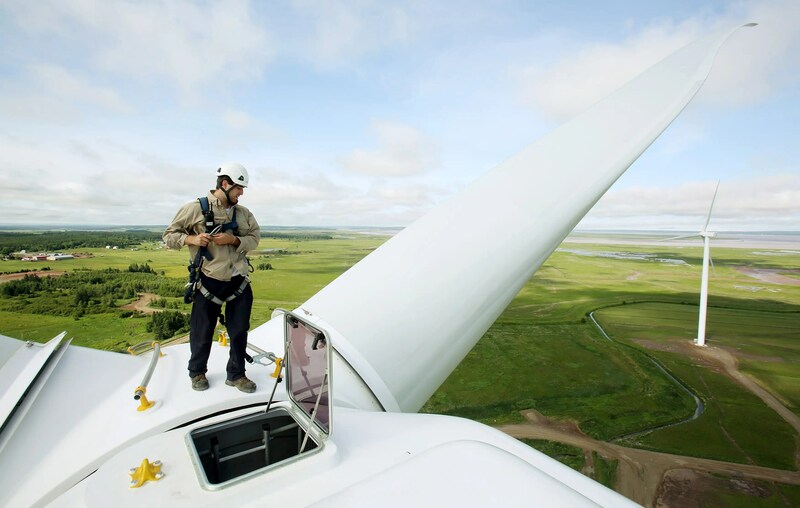 Sprott Power Corporation Technician Zack Fisher stands on top one of the fifteen new wind turbines which were officially opened in Amherst, Nova Scotia. 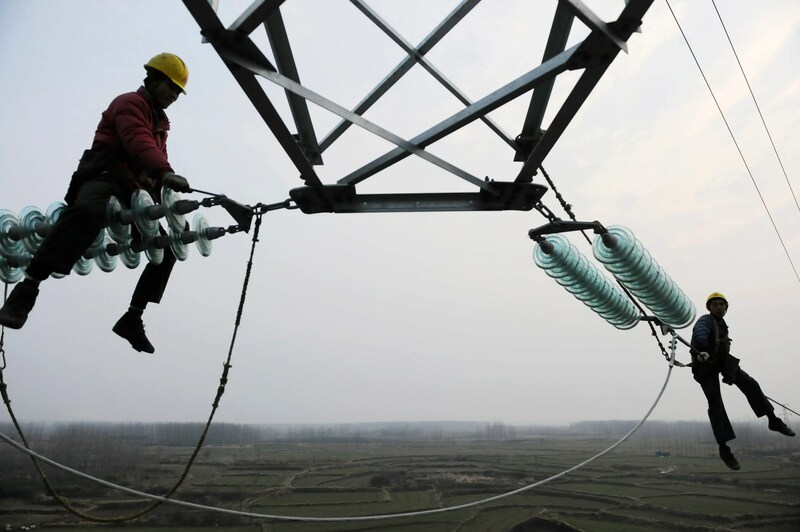 Employees work on a pylon in Chuzhou, in the Anhui province of China.